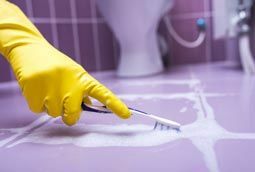 The following are some of the most common questions our clients ask about tile and grout cleaning. Q:Why is it important to clean tile? A: Tiles are usually found in places in the home where germs blossom. This includes the kitchen where food is spilled, the entryway where dirt can be tracked inside on shoes, and the bathroom (no explanation needed). If you don’t clean your floor properly, the pores in the grout can be the perfect place for bacteria to collect and grow. And while it’s common to walk barefoot through these rooms, that’s a visual no one wants to imagine. 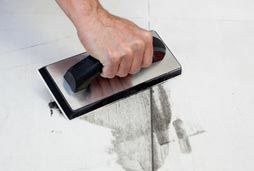 Cleaning your tile professionally gets in deeper than DIY cleaning ever can and leaves you with a healthy, beautiful floor that you can be confidant walking on. Q:Should my tile be cleaned often? A: The minimum should be at least one time a year. But there are some factors that could increase this number. For example, if you have infants and small children who crawl around on the floor, then your floor is going to get dirtier faster and you’ll want to keep it clean to keep the children healthy. Grout that isn’t sealed will also need to be cleaned more often. And if you have older children who play sports like soccer and football, they’re likely to bring in more dirt than normal. If you fit these categories, we highly recommend two cleanings a year to keep the best conditions for your floor. Q:What happens if I do not clean my tile? actually pose a health risk. The five second rule doesn’t exactly work if the pores in the tile have been collecting bacteria over years. It can actually make small children very sick. It’s always better to be safe than sorry when it comes to your home and family. Q: Should I Have My Grout Sealed? A: Most grout is made from a porous material that easily absorbs spills and dirt, much like carpet. A sealant is an easy and affordable way to maintain the appearance of your grout by creating a protective barrier. While sealant won’t create a water-tight seal, it does give you more time to wipe up spills and dirt before they penetrate into the grout. Sealant is also effective at resisting stains from pets, cosmetics, cleaning products, and more. Call Us Now! To get a free instant quote & for limited time, a SPECIAL DISCOUNT OFFER! Q:How long does it take to clean my tile? 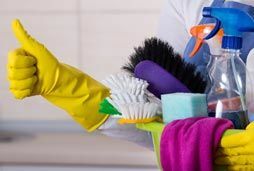 A: The time it will take to complete your cleaning project with us depends on a few different bits of information. Mainly, the type of tile you have, the level of build up on the tiles and grout, the layout of the room, and the size of the room. But most rooms will only take between 30 and 60 minutes to finish. If you would like to take advantage of our optional sealant service, that can add up to three additional hours of application and drying, but the lasting results are worth the extra time. It is crucial however that you wait 30 minutes minimum before walking on your freshly cleaned tile and don’t let any liquids spill onto the floor within the first 24 hours to ensure maximum effect.The best professional tile cleaning service in town is just a call away! 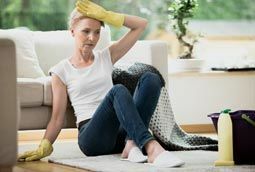 So don’t hesitate to reach out to us to have your cleaning questions answered or your service appointment booked.We make the process as easy as possible so you can enjoy a clean floor without all the hassle. It doesn’t get much easier than that. Our previous clients agree there’s no cleaner clean possible than with Sierra Carpet Care. We look forward to serving you soon! 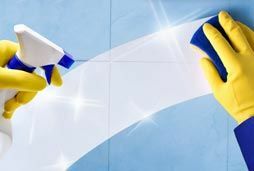 Q:Why Should I Get Tile & Grout Professionally Cleaned? A: Tile and grout accumulate dirt over time that can dull the appearance of your tile and discolor the grout. Professional tile cleaning service is a thorough process that removes dirt that can’t be removed with mopping alone. 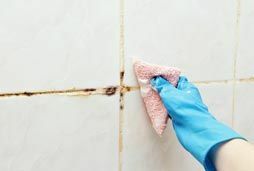 If your tile or grout appear dirty, stained, dull, or discolored, it’s probably time for a professional deep clean. Q:Is Professional Tile and Grout Cleaning Expensive? A: Our tile and grout cleaning and sealing services are an affordable way to maintain and improve the appearance of your tile floor, shower, or countertop. 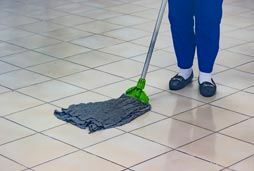 The cost is comparable to carpet cleaning and may only be needed annually, depending on foot traffic and how well you maintain your tile and grout. Call now! Free Instant Quote. Q:How Often Do I Need to Get My Tile and Grout Professionally Cleaned? Q:When Will I Be Able to Walk on My Floors After a Tile and Grout Cleaning? A: You will be able to walk on your floors once they are dry, unless you choose to have a sealant applied. We suggest waiting at least 30 minutes to allow the sealant to dry, but be careful to avoid getting any liquid — even water — on the floor for at least 24 hours. Don’t trust your beautiful tile floor or shower to just any tile cleaning company. We have proudly served the Carson City and Reno areas for years with the expertise and tools necessary to do the job right. If your tile and grout appear dirty, dull, or discolored, contact us today to learn more about our professional tile and grout cleaning services and how we can help restore the appearance and integrity of your tile flooring.